Keller conceded the Indigenous population level in Canada pre-contact is a matter of debate and the editorial did not mean to include the whole of the Americas in the assertion. He also said the editorial never argued the point of whether apartheid existed or exists in Canada. 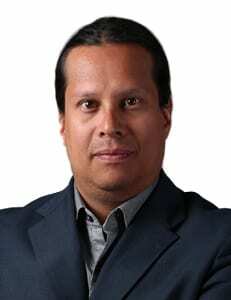 “We are cognizant of the sordid history behind the treatment of Canada’s Native peoples. Could anyone not be? We were very clear, in fact, to outline in the editorial some of the major problems faced by Indigenous peoples,” said Keller quoting from the editorial’s mention of residential schools, the 60’s Scoop, missing and murdered Indigenous women and the poverty gripping many First Nations. Sinclair could not be reached for comment about his Facebook post which ended with list of issues Canada could learn from the South African context. It is generally accepted that across North America, the Indigenous population was approximately 8 million at the end of the 1400’s. Irrespective of that figure, the editorial’s thinly veiled contention is that because there may have been fewer people than in South Africa, numbers matter more than the substantive issue, which is the apology and the attempt at reconciliation. There is also the fact that germs brought to the Americas by Europeans killed large numbers of indigenous peoples, but no one was recording those deaths during earlier years of contact. By the 1990’s, consider the number of tuberculosis deaths of indigenous persons in Canada. Some of the TB hospitals/sanitariums in Canada have been designated as residential schools under the IRS settlement agreement because so many indigenous children were residing in these hospitals, suffering from that terrible European disease. European disease took many indigenous lives (adults and children). Secondly, the Indian Act, legislation of the Government of Canada, was used by the South African Government as the framework to create Apartheid laws. The Indian Act is still the law in Canada, whereas South Africa has withdrawn their legislation. Racism in Canada is still being enforced by the Government of Canada. Senator Sinclair is an important leader for all of us, including the Globe and Mail, to realize that many underlying assumptions that we apply to process information in Canada about indigenous nations, are racist and incorrect. the Indian Act, legislation of the Government of Canada, was used by the South African Government as the framework to create Apartheid laws. Once your done with that, try looking up the “Paperclip” project. I agree with the senator and believe that history must be corrected to tell the truth. In that vein I am skeptical about 20 – 90 million natives having been killed by Europeans. Not that I doubt they could/would have done it but where is the physical evidence? 20 -90 million bodies would leave a lot of graves and or bones somewhere and there doesn’t seem to be any evidence of that. In the interest of telling a true History let’s be sure that we don’t alter the facts in the other direction. I see Mr. Sinclair as our advocate and continues to be; not everyone in the Ingideneous community can speak for themselves, especially for those who feel oppressed and continue to live in oppression, poverty. Editorials such as this contribute to the injustices to the oppressed. I love senator MURRAY-SINCLAIR. He speaks for a lot of us who cannot speak as he can and so elliquintly and his knowledge of the situations is uncanny. We are very proud of this man. 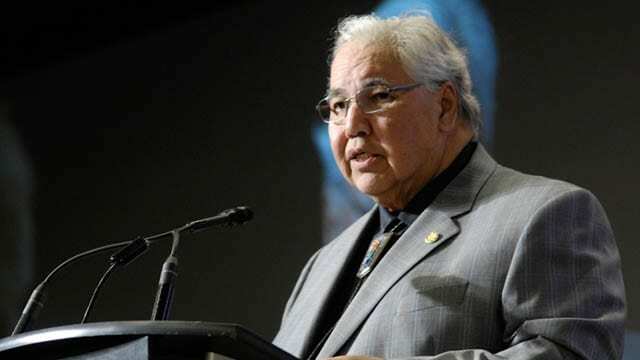 THANK YOU SENATOR MURRAY SINCLAIR. excellent article. helps correct 500 years of history that we need to learn in order to save humanity and the earth. Murray Sinclair isn’t attacking a straw man fallacy in the editorial, the editorial is the one wrong here. Senator Sinclair is right to criticize the editorial as the writer(s) are hardly cognizant of the colonial attitude it is conveying through the notion of Terra Nullius. Even if the population was thin it still does not justify colonialism anyway, it does not justify majority rule of colonial settlers. Has the writer of the editorial not thought that perhaps saying Canada was thinly populated at first contact can be used to against our Indigenous First Peoples? My advice to those who wrote editorial is that, if you are supportive of our Indigenous People, you should listen when one is pointing out a detail you clearly have not realized sounds pro conquest-y. and yes Canada can learn much from apartheid because Canada’s colonization tools were based off apartheid in Africa, as well United States. Canada’s not unique, and they should stop this delirium of Canadian Exceptionalism. You CAN be Wrong and make things right. If you’re wondering why the Globe and Mail is now taking an interest in what First Nations are doing and saying look no further than the resource sector and the obstacles that First Nation’s land claims present to that sector. THIS is what a senator looks and sounds like! Mad respect for this man! Thank you for your words Senator Sinclair! My view of the Globe and Mail editorial on its “thinly populated” theoretical term is based on ethnocentrism. It is also based on the “150 years” of historic and academic “terra nullius” writings of “transplanted” government laws and political economic system. The federal government “Indian Act policy” is still used to supersede the Treaties and the Inherent Rights of the “land-based” traditional economic systems. The continued federally “reserve-based” government administration is still the current Apartheid rule of law based on the “two-founding nations” Constitution of the European English and French colonialism. Great comment! I agree whole heartedly! Comparisons like that are not only odious, they are also meaningless; the conclusions drawn all depend on which aspects one includes or leaves out. Apartheid was appalling, but may well have been a collective case of PTSD after the horrors of the Boer War for the Afrikaners. Early Canada had no such trauma to explain the way it treated those who had initially trusted the early colonizers and helped them. And with all the injustices and oppression Black Africans suffered, they never had their children taken away from them and those children were not forcibly and intentionally stripped of their language, their culture, their communities or their families. beyond the indirect effects of exposure to other cultural influences. To me this weighs more heavily than any other issues that might be compared. Both cases were utterly wrong and there is no point in trying to compare the two. It makes as much sense as trying to excuse the lethal effects of strychnine by comparing it to arsenic. Wiping oneself clean with a muddy towel is not going to be very effective. and Canada was effected no doubt . Guns germs and steel explains the process. It was a disaster but there was no one mastermind. Humans migrate and carry diseases. Happened lots before the Eupoeans arrived the third time (first was 20,000 years and year all humans can trace the same migration and 100% definitive that we are all related to the same ancestors. No one came from a rib or fell from the sky and landed on a turtle. I am so pleased that the indigenous peoples of Canada have found their voice! Keep on telling your stories and eventually they will be as big a part of Canada’s history as the European stories are. Right On! All Canadians need to support the Truth and Reconciliation Commission and ensure that all governments meet all of their commitments. And yes! We all need to hear 1st Nations stories! Just because the Globe & Mail editorial didn’t say it, doesn’t mean that it’s not an assumption. Only after the fact is the defense presented. Modern colonialism doesn’t want to be associated with South African history even if that government was inspired by Canada’s control of indigenous people when it introduced it’s pass laws.